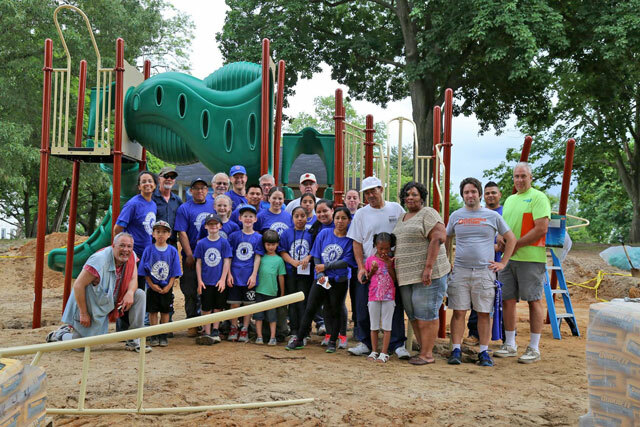 A team of volunteers working on bringing back the Johnson Reeves playground. Revive South Jersey was started in 2012 as a ministry outreach of the New Hope Presbyterian Church, OPC, Faith OPC Church, and Fairfield PCA Church. From the very beginning the goal was to work together with other local churches, non-profits, local businesses and community organizations in South Jersey to transform the lives of individuals and families. Many churches and other organizations have since joined in the work with Revive South Jersey, click here to see the Partner Organizations. One of the first goals of Revive South Jersey was to start off by meeting the physical and spiritual needs of individuals and also working on strengthening family units. Both individuals and families would start to be strengthened through the process of meeting these needs. Want to learn more about Revive South Jersey? Start by clicking on one of the links below. Are you interested in volunteering with Revive South Jersey? Click here to go to our Contact Us page.